Since I’m the only person that I really get to boss around in a Marie Antoinette voice, I am ordering myself to eat cake! That is after I’ve made it. A rummage in the cupboard led to an open bag of poppy seeds that will be much happier in my belly as opposed to spilled all over which they seem to be intent on doing. 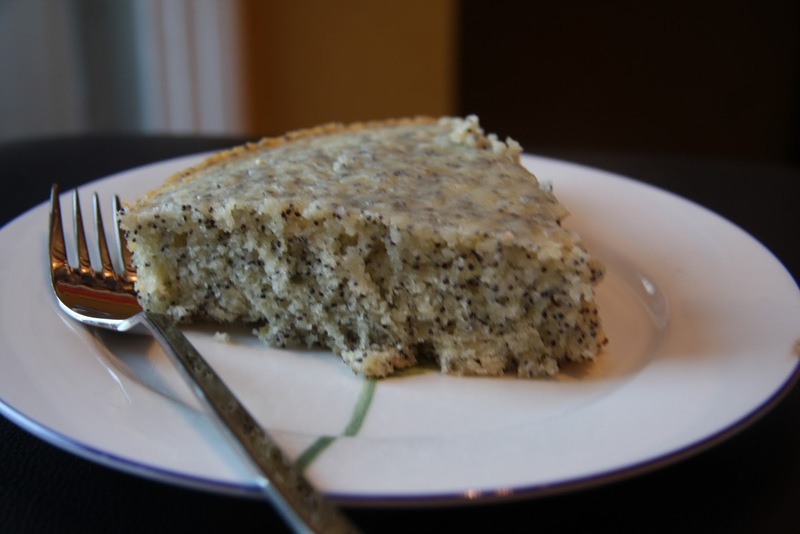 Poppyseeds need lemon to be truly happy so a nice Lemon Poppyseed cake it is. 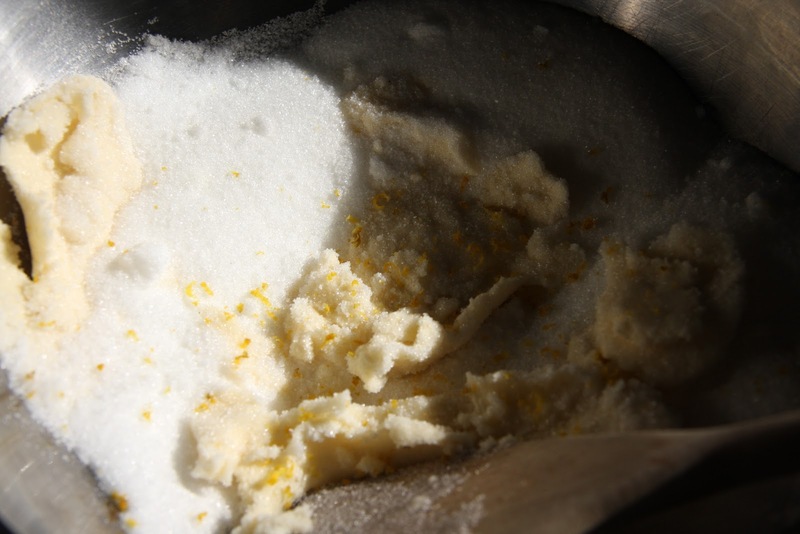 Cream together; 2/3 cup butter, 1 3/4 cup sugar and the zest of one lemon. Add, 2 eggs and the juice of your lemon. 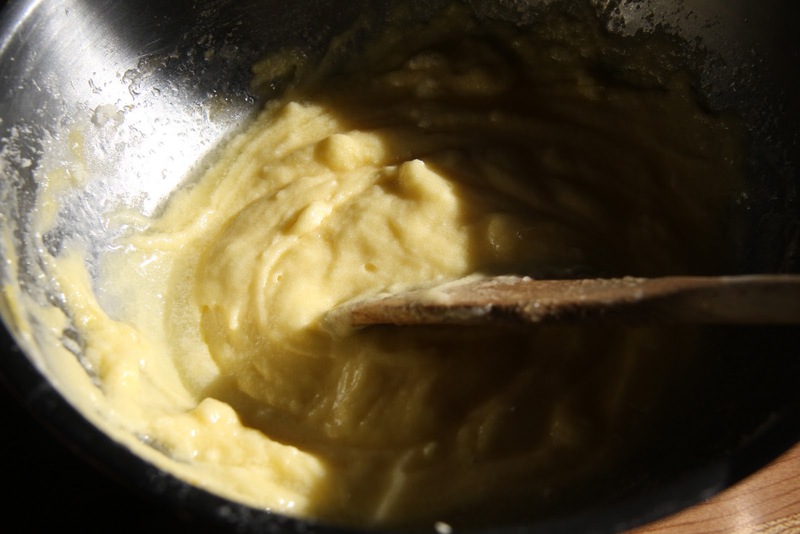 Mix in; 3 cups flour, 2 1/2 tsp. 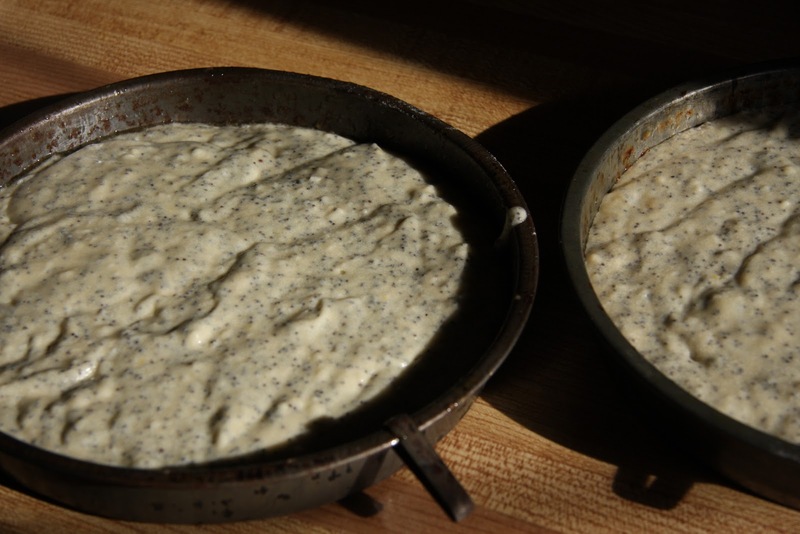 baking powder, 1/2 cup poppyseeds and 1 1/4 cups milk. 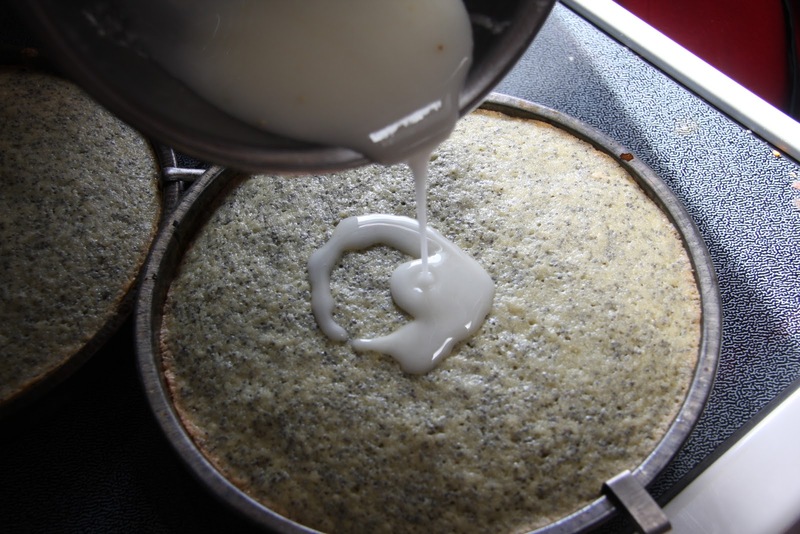 Pour into two, greased cake pans and bake 20-25 minutes at 350 or until a knife comes out cleanly. Top the still warm cakes with a glaze made out of 1 cup of icing sugar and just enough lemon juice (about 2 T. but this will vary according to the moisture in the air that day) to make a pourable glaze. I think even Marie would approve. oooooh this looks so delicious! yum yum!!! I love poppyseed muffins so this is like a step up! Oh this looks delish!!!! I LOVE lemon!!! yum yum yum! 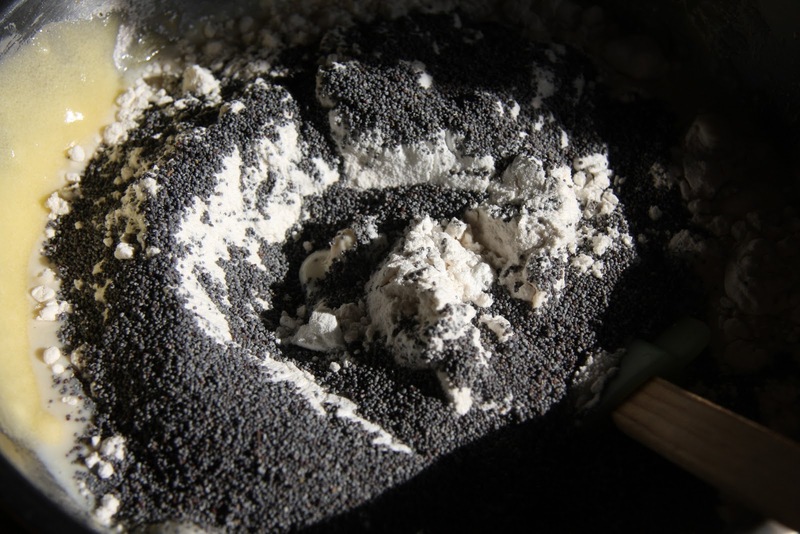 ooh, thanks for this post…reminds me that it's time to start using up my poppy seeds. can't think of a better use for some of them than what you've made here!! 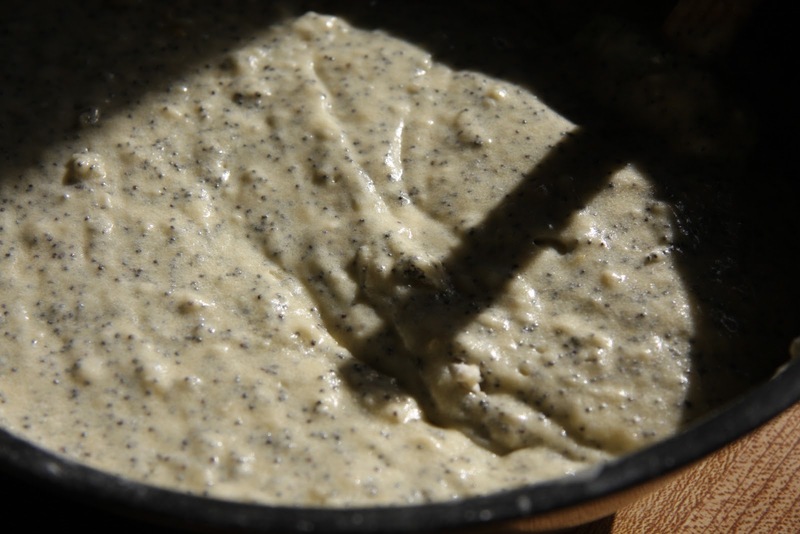 I love this recipe because you can easily take out the poppyseeds and lemon and have orange and almonds or chocolate and cherry or just a really nice plain cake to serve with fruit and really good ice-cream.